This last great intact temperate eco-system in North America is a place of incomparable grandeur, wonder, and rugged beauty. 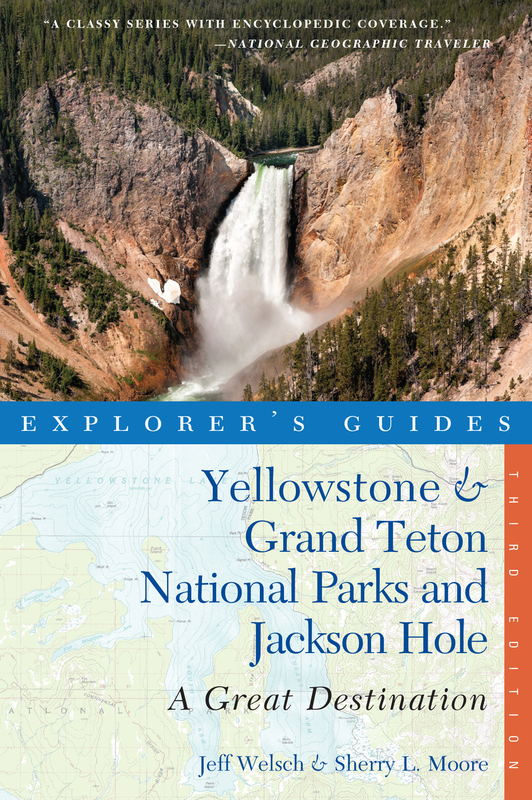 Explorer’s Guide Yellowstone&Grand Teton National Parks and Jackson Hole, A Great Destination goes far beyond the usual compilation of information to give you such an intimate and comprehensive view you’ll want to return again and again to experience everything. All lodging and dining options inside the parks are included; outside the parks, only the top choices are listed; icons indicating the authors’ favorites help you find the best of the best. Alternatives like guest ranches, cabins, and campgrounds are detailed as well. Sherry L. Moore, an educator and writer for over three decades, has coauthored several guides to the western states. She lives on the Gallatin River outside Bozeman, Montana. Jeff Welsch has written books and articles on topics from sports to Native American issues to history and politics. He is also a senior editor for Montana Quarterly and lives on the Gallatin River outside Bozeman, Montana.